Jolt first established it's teacher training programmes in 2016. 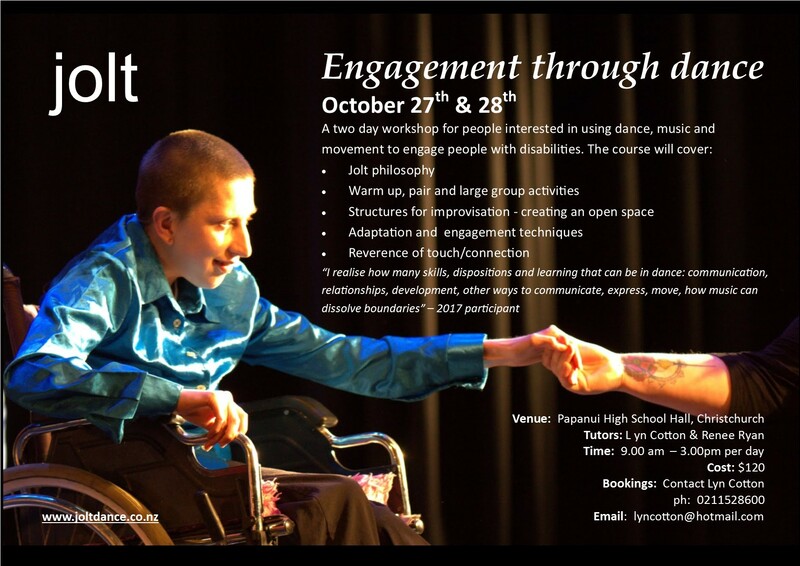 These programmes are open to anyone who is interested in establishing their own dance programmes or using dance to engage with people with disabilities. We currently offer a weekend of training for beginners and a refresher day for people who have already completed the beginners course. Original generation time 1.2605 seconds. Cache Loaded in: 0.0322 seconds.